If you asked me to draw a perfect circle, without even lifting the pencil, I can already tell you that it would come out looking more like a square. If you gave me a mound of clay and asked me to shape it into a mug, I can assure you it would be lopsided and certainly not something that would hold your coffee. But I would try. And I would have fun doing it. Because when I was a child, I had an amazing art teacher… a man who, when he saw me staring at my blank paper, paintbrush in hand, taught me that it wasn’t about the final product, but rather, it was about the process. It isn’t about producing something that others view as “art.” It’s about exploring, creating, pushing through fear and taking risks. Art class was just as valuable as math and reading and science. It stretched my brain and pushed me in important ways. My daughter is blessed to attend a school with a lovely arts program, but so many kids are not that fortunate. The educational benefits of an art program for kids are well proven, yet, art classes aren’t included in most public school budgets. That lack of funding hasn’t stopped parents at Yick Wo Elementary from ensuring that their school’s students have art class anyway, and Schoola is forming a community to help them do it. 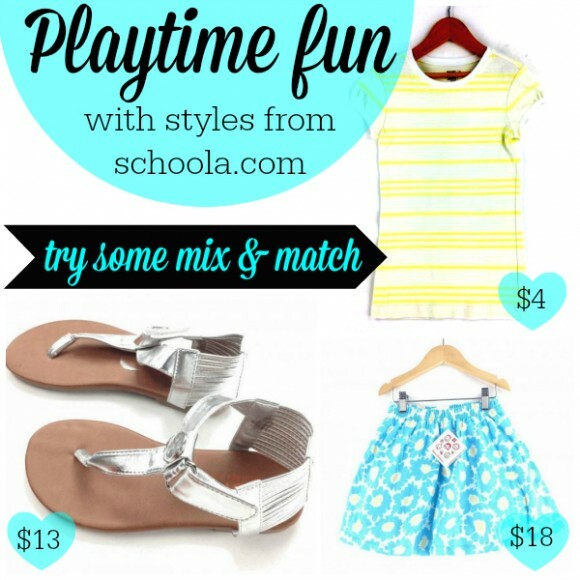 Schoola is an online shop dedicated to recycling brand-name children’s clothes and giving 40% of the proceeds going to schools in need. So, how does it work and what am I asking you to do? Well, it’s amazingly simple and hugely fantastic! 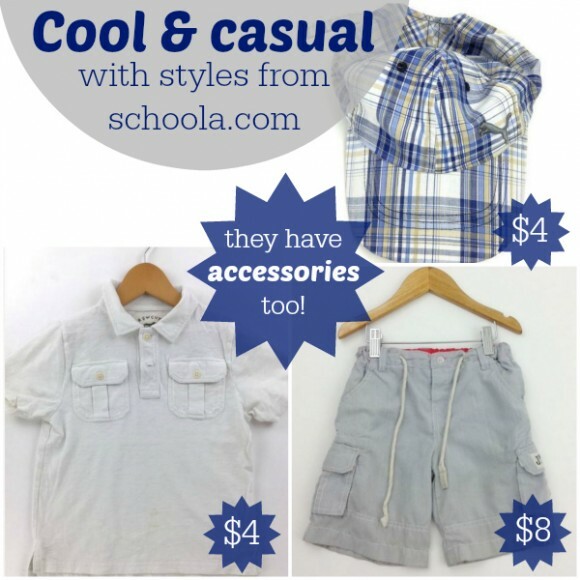 Request a bag from Schoola by clicking on this donation bag request link. Clean out your kids’ closets and gather up the gently used items they’ve outgrown and mail it back to Schoola in the prepaid bag. 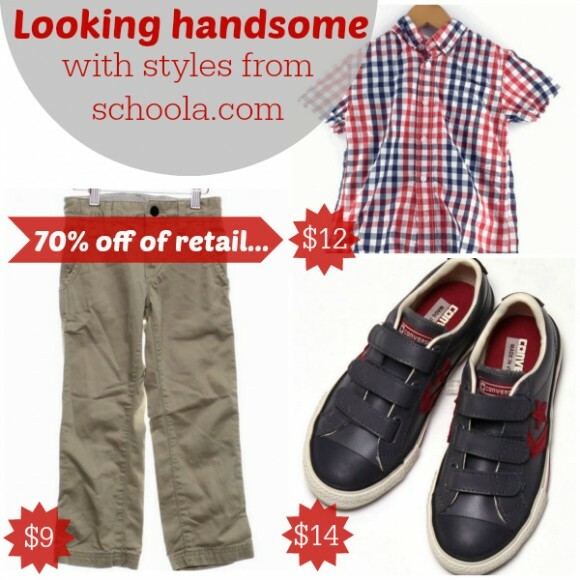 Schoola sells those items and $2 of every $5 earned goes directly to the school of your choice. And what if you don’t have any clothes to donate? 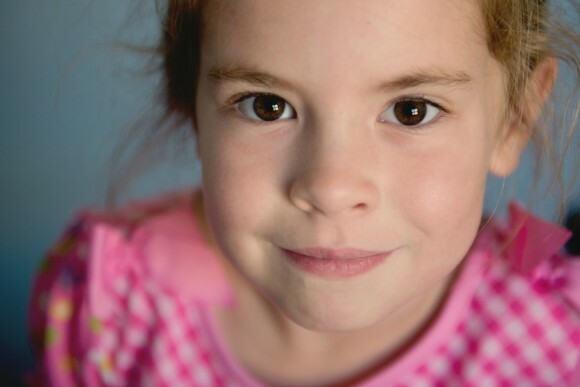 You can still help by shopping their amazing selection of kids’ clothes to help schools in need. The amazing work that Schoola is doing isn’t limited to arts programs. They’re also working to provide all of the things that our children need that are often the first to go in budget cuts, including music classes, play structures and libraries. After wanting you for so long… after praying for you for so long… I’m still amazed each year, as we celebrate your special day, by just how lucky we are to have you in our lives. Last night, before we tucked you in for bed, we talked about today. That your birthday coincided with dress up day at school made you simply giddy. I’ve spent the past week (or weeks, if I’m honest), wondering how it’s possible that you’re already seven…wondering where the years have gone and feeling terrified that the remainder of your time with us will slip through my fingers. But this morning, as you changed out of your Cinderella dress and into your school uniform, I thought my heart might burst with pride. You are learning who you are… learning to think ahead… learning that it’s okay to not do what everyone else is doing. You are learning that it’s just fine to be YOU. As I held the cast off dress and watched you carefully zip up your plaid skirt and smooth your shirt collar, I realized that none of this… this privilege of being your mother… is about keeping you small. It’s about bearing witness to you becoming the woman you will one day be. And this morning, as you dug deep, I realized that you are indeed seven. You are seven magical, smart, beautiful, fantastic, glorious years old. And I’m so incredibly blessed to be here to watch you grow. If we’re friends on Facebook, I’m sorry (#notsorry) for flooding your stream with Listen to your Mother updates, links, videos and endlessly gushing. Because this show? Oh, my friends…you can’t know the power of LTYM unless you attend a show. And each year, that gets easier to do. What began as a one-city show has now exploded across the nation and 32 cities are bringing the show to the stage during the 2014 season. And behind each of those cities are women who, like me, simply must bring the show to the stage … women who have witnessed a shift in each member of the audience as they welcomed the cast into their heart… as the words take shape in their head… me too. And her response? Me too.. Looking through the LTYM YouTube archives leaves me in absolute awe. So many stories. So many threads of motherhood that connect us all. From now until the curtain goes down on the final show of the season, you’ll find me gushing to anyone who will listen. I am truly eternally grateful for being a part of the magic of LTYM. Thank you for creating this platform for our stories, Ann. And thank you to my co-producer/co-director, Margaret, for all the things. If you live in another part of the country, here’s a map with a complete list of cities that are hosting LTYM this year.